Our youth preparedness team has trained a total of 12,005 youth so far this fiscal year! They are well on their way to their goal of 17,500 youth trained. These Girl Scouts put together backpacks of emergency supplies at the Seattle office. The Red Cross works closely with schools, Scouts and other youth groups to train the next generation in preparedness. Our AmeriCorps team members are an integral part of this training process. In the Basic First Aid program, youth learn how to save a choking victim, as well as how to properly wrap and secure bandages. We want to give students the skills to respond quickly to emergencies and natural disasters. The Passport to Preparedness program includes take-home activities to help families develop disaster plans, build disaster kits and get trained in first aid. 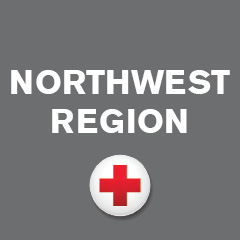 For information on our youth programs or to schedule a preparedness training, please visit http://www.redcross.org/wa/seattle/programs-services/get-prepared/youth-preparedness.